There are so many images that Sardinia evokes in all who have had the opportunity and the privilege to go there and taste the flavours. As many as only an age old land, which has stood still in time and space, can give. To think of Sardinia, in fact, is to think of a mine full of precious gifts. Its mines are the union between the depths of nature and human ability to find treasure. Mines are seen as a distant, isolated space but also ordinary of every day. In the end, a mine is a metaphor for wealth to be gathered and found, not stopping at the surface but digging and going beyond the well known, well trodden paths. 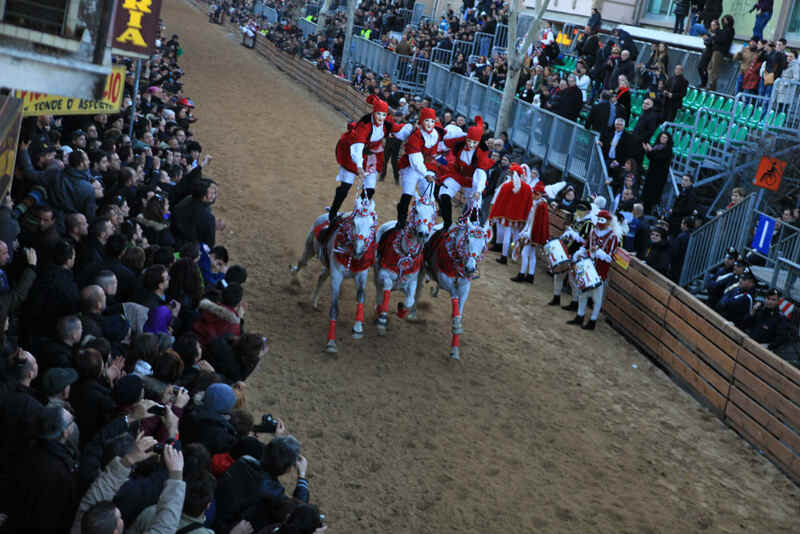 L Sartiglia in Oristano is one of these precious hidden treasures. One of the unexpected surprises and marvels waiting to be discovered by those who want to find and explore its depths in every sense and direction.